State Representative Tom Demmer (R-Dixon) appointed to deputy house minority leader this week. State Rep. Tom Demmer (R-Dixon) rose to the second-highest leadership position in the Illinois House Republican Caucus after a recent appointment to deputy minority leader. During the announcement in late July, House Minority Leader Jim Durkin said Demmer was key in getting the state budget passed. 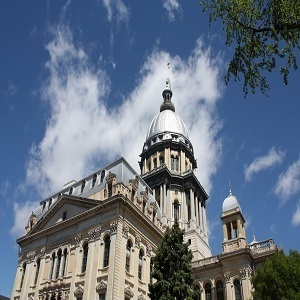 The Illinois capital has experienced some changes in the legislative leadership. “It is an honor to have Tom Demmer serve as our next deputy minority leader in the House Republican caucus,” Durkin said. Over the spring session, Demmer drew attention by taking the lead on a new hospital assessment program and a successful negotiation of a historic state budget with bipartisan support. During his three two-year terms in the Illinois House, Demmer has gained a reputation for being a knowledgeable and thoughtful legislator in the caucus. Want to get notified whenever we write about State of Illinois - House Republican Caucus ? Next time we write about State of Illinois - House Republican Caucus, we'll email you a link to the story. You may edit your settings or unsubscribe at any time.